Glen Isla has hosted acclaimed travel writers from all over the world, including organisations such as Conde Nast, National Geographic Traveler, Lonely Planet, Fodors, Frommers, The Times in the UK, and Australian newspapers. Hundred's of comments in the guestbook from guests and multiple awards from all over the world reflect on the warm hospitality offered at Glen Isla House. Guest privacy is paramount. Guest accommodations and lounge areas are quite separate from host accommodations but your owner/hosts are always around for local advice or a friendly chat if needed! When we travel, we are interested in the experience of meeting people and getting local advice rather than counting mod-cons and room facilities! For us, the warmth of welcome and local knowledge counts for more than gadgets in rooms. Authentic atmosphere and charm (without glitz and clutter) is more important to us than spa's and swimming pools! We prefer classic and elegant decor, a touch of history and great hosts over contemporary or quirky modern design. If you're seeking a a contemporary 5-star business hotel experience, or ultra modern/quirky design - then you're in the wrong place! Glen Isla House offers boutique country-house style accommodations set in very private gardens - all about understated old world elegance and charm (a quote from Lonely Planet Guide on Glen Isla House). Our guest accommodations have been purpose-architected as guest accommodations and our interiors have been designed by professional interior designers - for discerning adult travellers. By booking directly with us on HERE on our OFFICIAL BOOKING ENGINE, you are supporting a family owned and operated small business! (not a large multinational booking site!). We proudly employ Australians here at Glen Isla and we pay Australian taxes. At Glen Isla, we offer elegantly furnished, well thought-out and purpose-built accommodations with everything discerning travellers would expect, along with the personal touch from experienced hosts. Our accommodations are designed to offer privacy such that guests can come and go as they please or they can enjoy the warm Australian hospitality in the guest common areas - as they choose..
All this with a touch of genuine history, wildlife & nature experiences nearby, the beach just out the back gate, and our chef-inspired European-style breakfasts served in the dining room! Glen Isla House is not associated with a nearby apartment/motel property with a similar name. 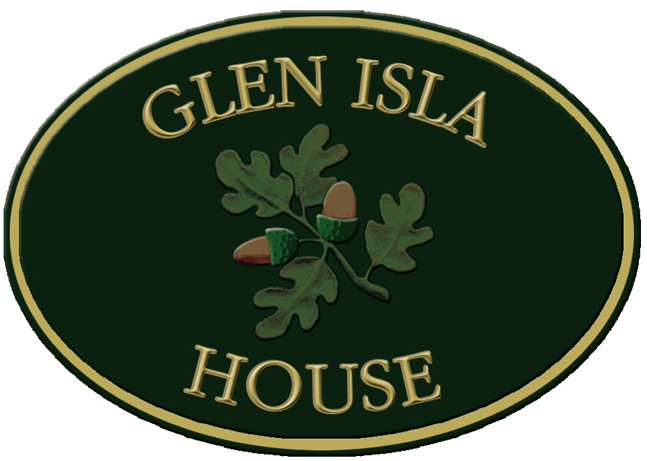 Multi award-winning Glen Isla House is the original Glen Isla on Phillip Island and has been welcoming guests and discerning travellers to our elegant country-house from all over the world since 2003.